That’s right! Buy one get one free on all our milkshakes this summer when the temperature hits 24C or more! Buy yourself a refreshing cool milkshake, and get a 2nd of the same for free to treat a mate. The question is… which flavour do you choose!? 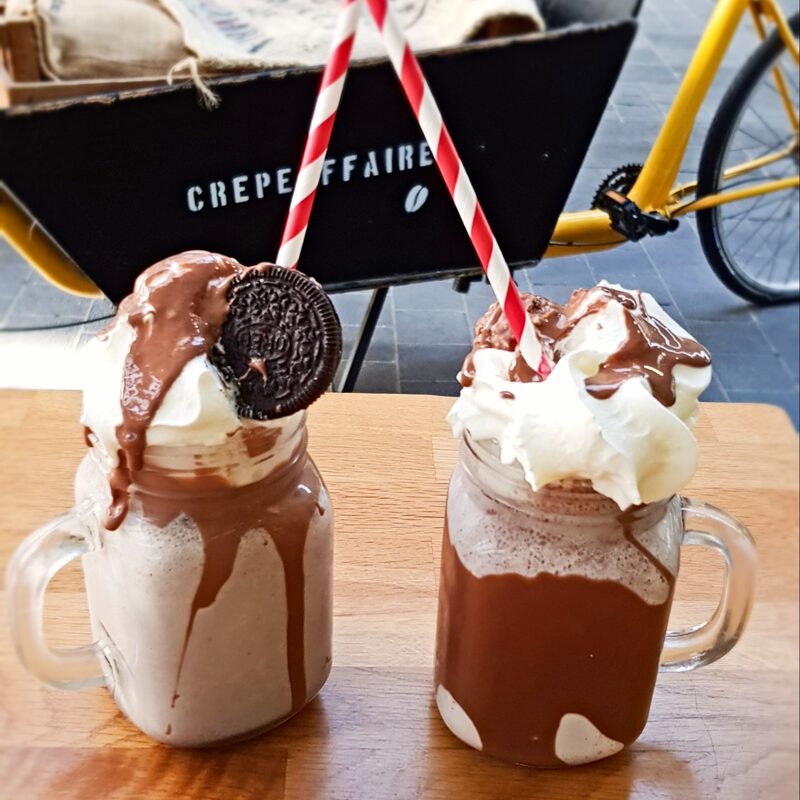 Check out our online menu here or ask our Crêpe Masters in store for all our indulgent and classic flavour milkshakes. So come along to any of our participating stores across the UK this summer and enjoy a free shake in the sun. Why not make it a lunch or brunch visit and have an Oreo milkshake with your maple bacon crêpe! Only when the temperature outside (in the store’s location) is 24 degrees celsius or higher that day – at the managers discretion. The free shake must be the same as the one which is being paid for. Participating stores only. While stocks last. The promotion will be valid until September 2018. Does not apply to online delivery. Not to be used with in conjunction with any other offer.